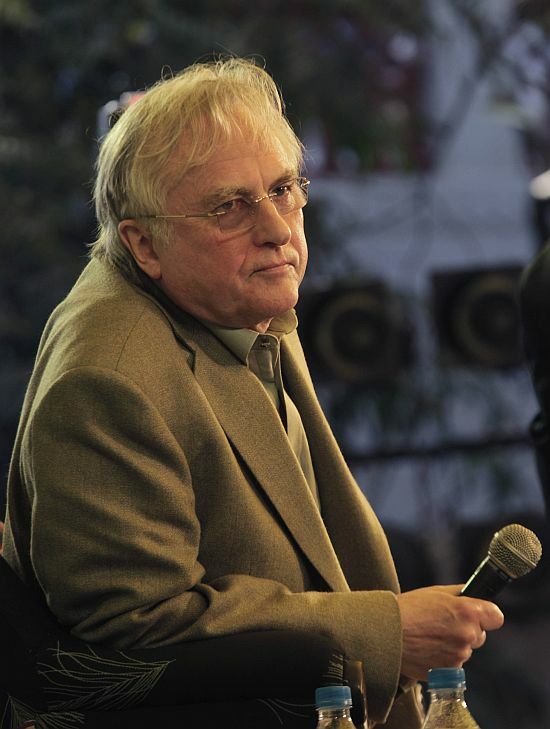 British writer on evolution and biology Richard Dawkins speaks about his idea about cultural evolution at the Jaipur Literature Festival in Jaipur. I hope this letter will have shown you some of the reasons why you might consider supporting Tony’s Foundation. Because hey, let’s face it, a world without religion doesn’t have a prayer. With so many of the world’s problems caused by religion, what better solution could there possibly be than to promote yet more of it? Those of us opposed to the war are sometimes accused of anti-Americanism. I am vigorously pro-American, which is one reason I am anti-Bush. They didn't elect him, and they deserve better. We are digital archives of the African Pliocene, even of Devonian seas; walking repositories of wisdom out of the old days. You could spend a lifetime reading in this ancient library and die unsated by the wonder of it. Is it so obviously repugnant that we shouldn't even think about it? Mightn't even you, in your heart of hearts, quite like to be cloned?